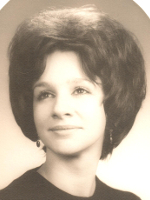 ALBANY – Carol Ann Guilbault King, 74, of Albany, passed away on Sunday, March 25, 2018 with her family by her side. Carol was born in Albany and lived in the area all her life. She earned a bachelor’s degree from the Empire State College, and a master’s degree from SUNY Albany. She was employed by the Bethlehem Public Library and founded the Bethlehem Public Access Television Channel. She also studied at Harvard for a year and published five historical romance novels. She was a professor at the Sage Colleges of Albany for many years, and was active in local community theater, serving as an actor, director, and mentor. She was a theater critic for the Daily Gazette newspaper, and President Emerita of Albany Civic Theater. Carol was the wife for 54 years of her childhood sweetheart , Thomas W. King, Jr. She is also survived by her children Thomas W. King, IV (Shelly) of Albany, Amy M. King Hoffman (Joseph) of Guilderland, and Juliet R. King (Frank) of Selkirk; her brother Robert L. Guilbault of Corinth; and her grandchildren Jessica Y. Hoffman and Isabella K. Carhart, as well as many friends, extended family and loved ones. Carol’s family would like to thank the staff members of Community Hospice who provided wonderful care to Carol during her illness. An informal gathering in memory of Carol will be on Saturday, April 21st from 2-5 p.m. at the Albany Civic Theater, 235 Second Ave, Albany, NY 12209. Relatives and friends are invited to stop in. Arrangements have been entrusted to the Hans Funeral Home, Albany. In lieu of flowers, donations may be made in her memory to the Albany Civic Theater, PO Box 6172, Albany, NY 12206. To leave a message of condolence for the family, please visit www.HansFuneralHome.com. Please accept our loving condolences. Carol was a long time friend and she will be greatly missed . I had the pleasure of being in a show with Carol and had such a wonderful experience with her. She was such a talent. Amy, so sorry for your loss. I remember your mom was writing one of her novels when we worked together. My you and your family find comfort and smiles in her memories. Carol was such a lovely woman inside and out. I learned many things about directing from her. She was a kind, intelligent and loving person. Carol will be missed on this earth. My heartfelt condolences to Juliet and her family. Carol was such a strong and vital presence. What a loss! Carol was an important part of our history. With her passing a part of who we are is gone forever. Looking at her beautiful picture the lyric “It would be so fine to see your face at my door” keeps playing in our minds. We are so very sorry for your terrible loss. I’m so sad to hear this.carol was certainly instrumental in my getting a foothold in local theatre. She was a wonderful actor, director and human. Our world is a little poorer tonight without her life but her spirit is here and strong. Dear Tom and the King family — I am so sorry to hear of Carol’s passing. She was a stalwart of Albany Civic Theater serving in every capacity. Carol passed her love of theater on to you, her children and grandchildren.. May you find comfort in knowing that her presence will remain with everyone she touched throughout her life. Tom, So sorry to hear of Carol’s passing. She was a wonderful person and gifted in every thing she did. May your memories of her and her talent sustain you during this difficult period. I am sorry to hear of Carol’s passing. She wil be greatly missed. It was an honor for me to do a home stay at the King’s family as an exchange student a few decades ago. I can’t thank Carol enough for her kindness, warmth and generosity. Her tender smile and all the kind words will always remain in my heart. She will be greatly missed. Albany would never be the same without her. I am so sorry to hear about Carol’s passing. I remember her just like it was yesterday with her beautiful laugh and spirit although its been about 30 years. I was an active member with ACT in my teens and than left the area. Carol also taught me in a creative writing class at Junior College of Albany. She was also instrumental in getting my One Act Play produced at ACT in the early 80’s which was the highlight of my early adult life. Thanks Carol for everything you did in your beautiful life. For all her family and friends back in Albany I’ll be thinking of you all. God Bless and Carol, RIP. I was a classmate of Carol`s at Guilderland Central High for a year, as foreighn exchange student from Turkey. I am sorry to learn that another autumn leave is gone. I am sure whe`ll now sleep in lights and rest in peace. All my good wishes and heatfelt condolences to the King family. Albany has lost a great creative talent. I cherish my memories of Carol, an extremely warm and giving soul. The world was a better place with her in it. Very sorry to hear of your Mom’s passing. May your memories of her comfort you and your family in the days to come. Carol was a lion in the Albany theatre community and her loss will be felt for years to come. She inspired me as a young actor and helped me become more than I thought I could. She also was an incredible grandmother to my daughter and I am grateful for the role she has played in making Bella the amazing young woman she has become. I am sorry she is gone.